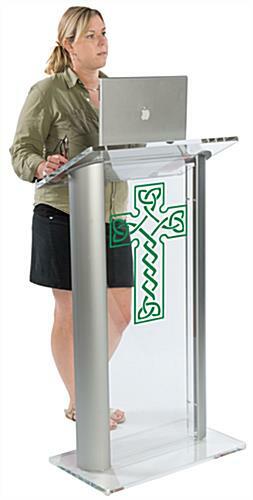 This 2-tone custom celtic cross pulpit combines contemporary style with a traditional knotwork imprint. 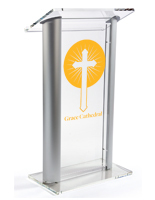 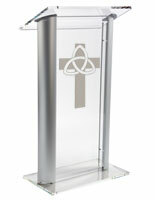 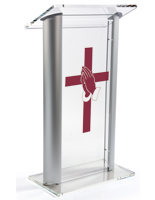 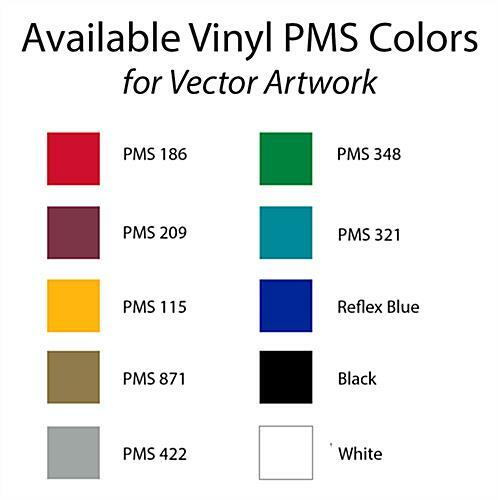 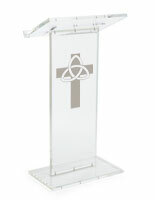 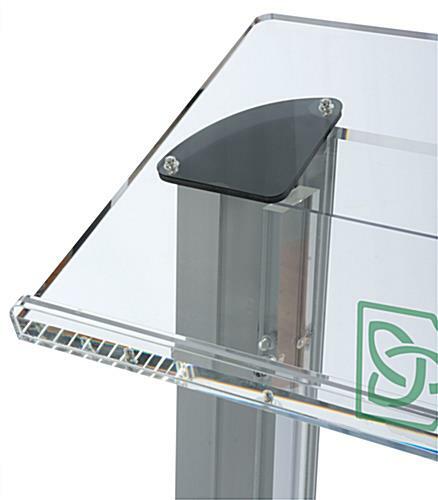 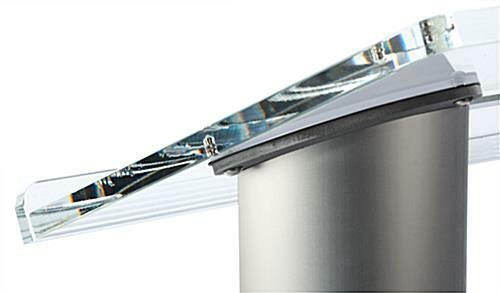 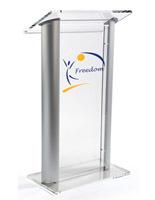 Each 48” tall reading lectern features clear acrylic construction with silver aluminum sides for contrast. 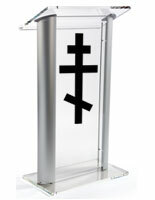 The 1-color custom celtic cross pulpit features a knotwork imprint in a choice of 10 colors of durable vinyl to match any decor. 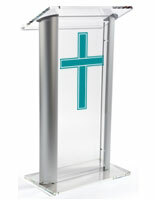 This elegant speakers stand’s contemporary will complement any facility or place of worship. 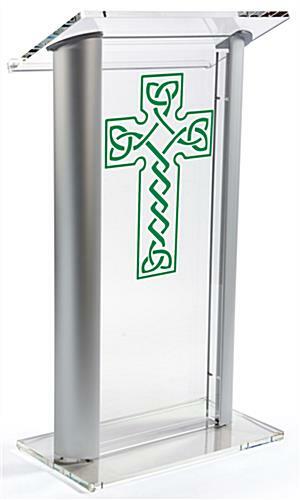 This acrylic and aluminum celtic cross pulpit with vinyl imprint is a great way to add a modern touch to traditional environments or to complement contemporary design. 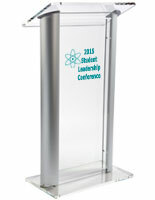 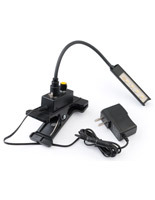 This versatile fixture includes a 26.75” wide reading surface with half inch bookstop for holding reading sources, tablets, or even laptops.